Artist Judith Repke is following her creative passions from painting to video editing. Painting primarily in oil on stretched canvas or in watercolor, Judith has garnered many awards and accolades. In the Summer of 2009, at the Saint Charles Plein Air Competition, Judith won second place for her oil painting, Windy Day. This piece was painted looking across the Missouri River toward the Bridgeton side where a small bridge can be seen. In the Northside Art Association's December 2009 show, she won the Paul's Award for her plein air oil painting of Creve Couer Park, which she had painted from a pavilion atop a hill looking out across Creve Couer Lake. Judith graduated from the University of Missouri as an Art Education Major. She worked as an art teacher, painted and sold her paintings at many art shows including Gypsy Caravan, Tilles Park and City of Bridgeton. She has studied under Susan Sarback, Mel Stabin and Frank Webb. Judith's artwork has been seen in many juried competitions including Framations Art Gallery, St. Charles Art Walk, St Charles Riverfront Paint Off, Queeny Park Spring and Fall Art Fairs and Faust Park Spring and Fall Art Show. She has participated in the Members Invitational and the Members Show Online for the Missouri Watercolor Society. Her artwork can also be seen in the Northside Gallery located in the lobby of Regions Bank Bldg, 8182 Maryland, Clayton, MO. Artist Judith Repke is a member of National Oil and Acrylic Painters Society, Missouri Watercolor Society, Art St. Louis, Academy of Contemporary Art, Northside Art Association and Artists of Grace. Judith's family includes two grown children, three grandchildren, a brother and sister. Her studio is located in her home. 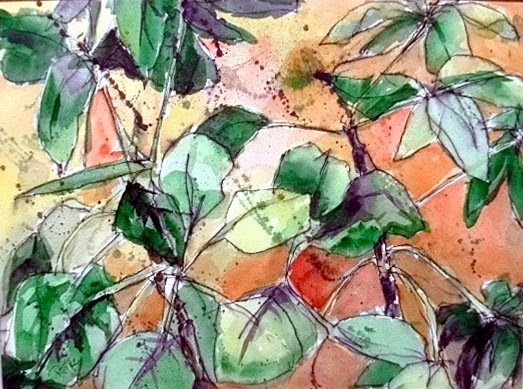 Learn more about artist Judith Repke on her website and her blog. 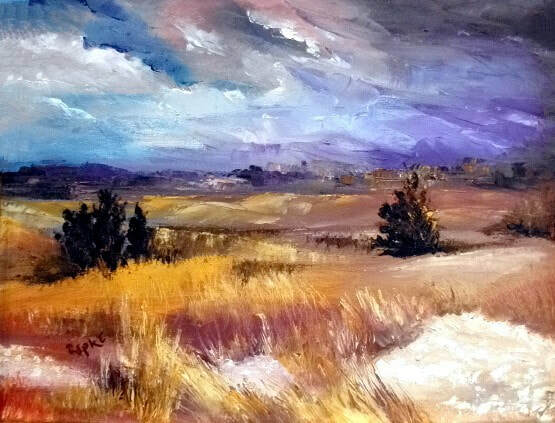 "Badlands Evening" by Judith Repke. Oil . "Schefflera" by Judith Repke. Watercolor. 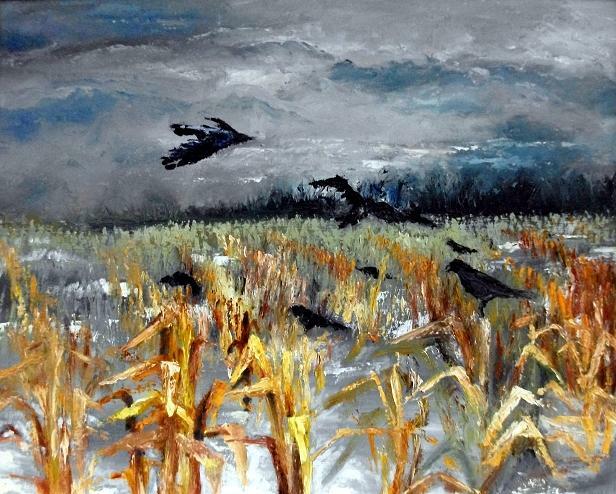 "Crows in the Corn" by Judith Repke. Oil (Palette Knife).